A Congressional committee has been told that a ‘carrot and stick’ approach is favoured among politicians and US businesses. Republican congressman Dave Camp and his Democratic second-in-command Sander Levin say their 'carrot and stick' proposal is attracting approval. THE UNITED STATES may adopt a “carrot and stick” tax approach, where all foreign incomes are subject to tax in the United States, according to a committee of its House of Representatives. The House Committee on Ways and Means has heard that both politicians and US businesses have expressed support for reforms which would see a lower rate of corporate tax, combined with incentives for companies to move their intellectual property back to the US. The tactics are aimed at tackling aggressive tax avoidance by the likes of Apple and Google, who have been criticised for ‘booking’ much of their international income through subsidiaries in Ireland where it can be subjected to much lower tax. The committee published a report in 2011 outlining several options for a reform of the US’s corporation tax laws – and says most support has centred on one option which would remove any incentive for US companies to keep ‘intangible’ assets abroad. The system would mean any income earned by a foreign subsidiary for the use of its intellectual property would be taxable by the United States at a standard rate of 15 per cent, minus the amount that the subsidiary has already paid in tax to its own country. However, it would also include tax credits for American companies who keep their intellectual property in the US itself – ‘the carrot’ – and penalties for income earned by ‘intangibles’ held abroad, the ‘stick’. 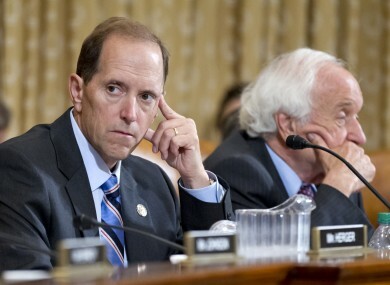 Committee chairman, Republican congressman Dave Camp, said the approach would mean there was little or no reason for companies to keep their intellectual property abroad, because the income it generated would be taxed at the same rate. “Some companies have said that intangibles, which have already been moved to tax havens under our current system, could actually be moved back to the United States because there would not be any tax advantage to owning them abroad,” he said. Experts attending the committee’s meeting today said the US could not act alone in trying to close tax loopholes, as the laws in other countries would still facilitate significant tax avoidance..
One expert characterised Apple’s relationship with an Irish subsidiary by saying Apple had created an Irish company, capitalised it with money from its US parent, and then sold the worldwide intellectual property rights to the Irish company – in exchange for getting its capital straight back. This meant that Apple’s international income was collected by an Irish company, where it would be subjected to lower levels of tax. Email “US committee wants to impose US tax on Google and Apple's Irish income”. Feedback on “US committee wants to impose US tax on Google and Apple's Irish income”.